Reliance JIO is one of the most innovative mobile network operators in India. It offers a bunch of features and it is considered to be an enormous, revolutionary part of mobile network industry in India. The company provides a preview offer to potential users, including access to unlimited 4G internet + calls + SMS for affordable price. Right from the start that offer was restricted JioFi (portable hotspot device) and LyF mobiles only. Even though, later the offer was extended to all other devices. People were not familiar with the possibility to access high speed WiFi while moving or traveling, until Reliance JioFi device was invented. This device currently has an enormous number of active users who use Reliance JIO sim installed in JioFi device. There are lots of types of JioFi devices, which can connect more than 10 devices + USB connect at the same time. More advanced models give you the possibility to connect many more devices simultaneously. If you produced a very popular device, such as JioFi, you have to be prepared to receive a lot of questions about it. There could be an issue to find a specific information about this device, as well as perfect JioFi page with frequently asked questions and answers. Therefore, we decided to do a research and collect all the usual questions around the web and give helpful answers on them. 1.1 Q: What is exactly JioFi? 1.2 Q: How much JioFi device costs ? 1.3 Q: Where can I find JioFi and buy it ? 1.4 Q: What comes in the JioFi Basic kit ? 1.5 Q: How Can I Acquire a Jio Sim ? 1.6 Q: How Long Do I Have to Wait Before Jio Sim is Ready to Use ? 1.7 Q: How many connected devices can JioFi Router back up at the same time ? 1.8 Q: Can I use the USB Cable to connect JioFi device to PC ? 1.9 Q: I have noticed numerous lights on JioFi device, what is their function ? 1.10 Q: Can I tether JioFI with non-4G device ? 1.11 Q: Can you tell me what is the battery capacity of this device ? 1.12 Q: How many hours will JioFi battery last ? 1.13 Q: How long will charging battery take ? 1.14 Q: How to use JioFi device ? 1.15 Q: How to call someone with JioFi ? 1.16 Q: How to manage settings of JioFI device ? 1.17 Q: How to access JioFi Web Web configuration panel ? 1.18 Q: Is it possible to change WiFi password ? 1.19 Q: How to allow or deny a device to tether with JioFi via mac address ? Q: What is exactly JioFi? JioFi is a portable hotspot device which you can use to access high speed 4G internet + calls and SMS via Jio4GVoice application. Q: How much JioFi device costs ? The JioFi portable hotspot device is priced at Rs 1,999. That price also includes starter kit. Q: Where can I find JioFi and buy it ? The JioFi is available on websites such as Amazon or SnapDeal. Also, all Reliance Digital Stores and DX mini stores are equipped with this device. Q: What comes in the JioFi Basic kit ? The JioFi starter kit includes a JioFi portable device, Jio GST software solution (1 year), 25 GB data (1 year), together with Unlimited voice calls, Billing and management application. More and more partial activations and upgrades are available in the most areas in India. Q: How Can I Acquire a Jio Sim ? 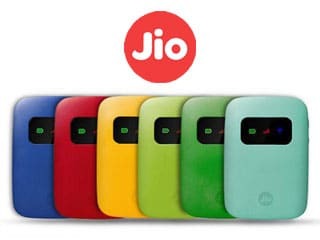 To be able to get Jio Sim for your JioFi device, you should bring proof of your identity and personal documents, including the address, in Reliance digital store. Q: How Long Do I Have to Wait Before Jio Sim is Ready to Use ? Usually the activation process of Jio Sim does not take more than 15 minutes, as soon as you do KYC using your aadhar card. Q: How many connected devices can JioFi Router back up at the same time ? Originally, JioFi device has the capacity to support up to 31 devices. Still, you should be careful because it is not recommended to connect more than 10 devices simultaneously, you don’t want to overload your device. Q: Can I use the USB Cable to connect JioFi device to PC ? Yes, JioFi router has a USB Slot for tethering the internet on your personal computer or laptop. Q: I have noticed numerous lights on JioFi device, what is their function ? The lights work as the indicators for connectivity status and intensity of WiFi signal, battery and 4G signal. Q: Can I tether JioFI with non-4G device ? Any WiFi compatible device may be connected with JioFi to access the high speed 4G internet. Q: Can you tell me what is the battery capacity of this device ? JioFi routers use batteries with capacity of 2300mAh. Q: How many hours will JioFi battery last ? The battery in these devices can last approximately 6 hours of continuous work. Q: How long will charging battery take ? Charging will take around 3 hours before it is completely done. Q: How to use JioFi device ? Handling with JioFi device is very easy. First of all, you should insert battery and Jio Sim into the router. Then switch on WiFi on your smartphone or personal computer and find JioFi hotspot. Connect to it using the username and password which will be written on the back side of the box or battery cover. After you finish everything, the device is set and ready to use. Q: How to call someone with JioFi ? 1 – Install Jio4GVoice app on your smartphone from Android Play Store or IOS App store. 2 – Make sure that you connect your smartphone with JioFi via WiFi. 3 – You can make calls using only Jio4GVoice applications. Q: How to manage settings of JioFI device ? To be able to change the configuration of your device you need to open the JioFi Web configuration panel at jiofi.local.html. Q: How to access JioFi Web Web configuration panel ? 1 – Connect JioFi with your PC, laptop or smartphone. 2 – Open an internet browser and type http://jiofi.local.html/index.html in the search bar. Q: Is it possible to change WiFi password ? 1 – Open Web configuration panel on your PC, laptop or smartphone while it’s connected to JioFi. 2 – Go to ‘Settings’. 3 – Then choose ‘WIFi’ option. 4 – Now find security key field and type in your new password. 5 – Confirm it by clicking on ‘Apply’ and your password is successfully changed. Q: How to allow or deny a device to tether with JioFi via mac address ? 1 – Open web configuration panel on your internet browser. 2 – Navigate to ‘Settings’. 3 – Select ‘Network’ from the following menu. 4 – Choose ‘enable’ option in ‘Mac address filter’. 5 – Then, it’s on you to choose ‘allow’ or ‘deny’ under ‘Mac address filter mode’. 6 – Now click the add button so you can add mac address from the list of users. 7 – You may also enable/disable the status from the same page. 8 – By clicking on ‘Submit’ you will add it on the list. We collected these frequently asked questions about JioFi device and tried to give the best answers we could. However, if you still have any unanswered question, be free to write them in the comments section. We love to get feedback from our users and see or hear their thoughts, so please contact us, and be sure that we are going to help you as much as we can.